Thanks for making me rethink things a bit. Happy Birthday! We are celebrating our daughter, Myah’s, first birthday today with a huge party. She is our miracle IVF baby and I went BIG on the party. Everyone has criticized me for planning such an elaborate party because she won’t remember it, but for me- its a big deal. I never got to plan any parties for my first daughter, McKenna, was stillborn at 40 weeks, 1 day May 27, 2007. She’d be turning 6 this year. So this party- and everything I do for her little sister- is because I never got to do it for McKenna. What a great view of life. Happy birthday – hope you get lots of great sneakers! Happy Birthday!!! 42 was kindof awesome, being the answer to life, the universe and everything. 43, not so much lol. But I get it. (And just wait until you have an 18 and 11 yr old who remind you how OLD you are and then you can tell them they are the reason you have white hair). Happy Birthday Jerry! You are older, wiser, and more entertaining than ever. Hah, I will be 40 later this year and the only thing that I really regret about it is that it will be November, so I won’t be able to have that huge outdoors bash with all my friends! Maybe I’ll move the whole thing into 2014, but not because I want to delay getting older. You are so right with everything you said there! Happy Birthday, Jerry, and, as the Brits like to say, many happy returns! Happy Birthday! I won’t tell you how old I am, but I was already lying about my age on this year’s birthday. And then I realized that is dumb. You are never too old to enjoy life, and that’s all that really matters! I heart you. I have thought this same thing a million times a million ways. We are blessed and lucky to live…even when we don’t feel like we are. I get annoyed when people make snide comments about how old someone is…like when a musician is still touring after a certain age or an actress reemerges after a hiatus…as if growing old is somehow a sign of weakness or is an embarrassment. Really? Because I am pretty sure I would be thankful if I was any age still doing what I love instead of not here at all. It is hard to be truly grateful for anything if we can’t even appreciate the the mere fact we are still breathing. 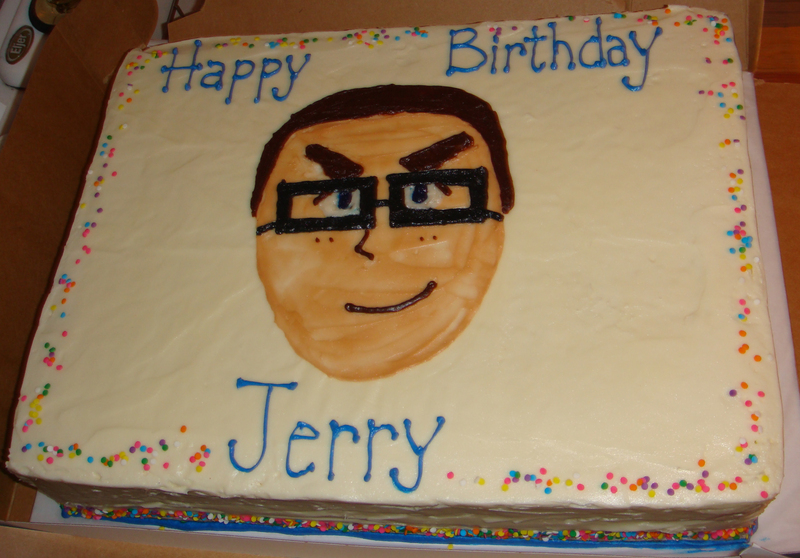 Happy Birthday, Jerry! 42 is a great age – being the ultimate answer, of course. 🙂 You’re right, of course. We should be grateful for whatever age we are because so many people don’t reach that age. So wonderfully put!! Happy Birthday Jerry! You should live till you’re a 100 or more just to keep reminding people of this. Happy Birthday to you. May you have many more. Happy Birthday, and congrats that you have been so blessed to experience 42 years. Happy Birthday!! The best thing about having a birthday is how much fun and exciting the kids think it is. Age doesn’t matter, who we love and who we get to share it with is all that matters!!! Wishing you a fabulously fantastic day and year!!!!! Side note though: You might want to check your stereotypes about Africa. Look at that list, and you’ll see there are a lot of African countries at the bottom of the chart. It’s sad and shameful, and I point it out not to slam Africa (believe me, I wish those numbers were higher in Zambia and all over the map) but to slam people in the so-called First World who feel bad about turning an age that many people aren’t lucky enough to get to. Oh Jerry, you would definitely be top dog in my 43 under 43 list. Happy Birthday! And LOVE the Hitchhiker’s Guide reference by the way! Happy birthday to a kind, witty and funny guy! Oddly, I was just talking about this today! The twins I nanny for are 2-1/2 and assume that I’m the same age (they sing “Happy Birthday” to me all the time and tell me I’m 2 now.) I’ve been working with kids long enough that “How old am I?” is one of my favorite games. My 2 favorite responses have come from 4-year-olds: One said I was 13, she knew this to be true because I was “wearing grown-up shoes.” (this meant they tied instead of having velcro.) The other thought I was 7, and when I said I was 23 (at the time, 10 years ago) he gasped in horror, “Oh my G-d! You’re older than my grandma!! !” (His parents were both plenty older than I was, for the record.) Kids are the best! And by the way, Happy Birthday! I love this post. Age is a gift. Yes. Happy birthday!! I’m feeling the same way and I’m only turning 40 this year. I’m not going to lie, I’m one of those “lie about your age” sort of people. I don’t lie, but I don’t exactly tell people I’m 33. Most people think I am much younger, so I don’t exactly dissuade them. Maybe I should embrace my age as well as you do! Happy birthday. It reminds me of a conversation I had about 4 years ago with my kids when my oldest guessed that I was turning 16. When I said I was older than 16 (still having not mentioned the age) he replied “Wow, you’re really old. So how old are you?” I was turning 32 at the time. He was almost 6. Happy Birthday! And remember…you never ‘turn’ your next age, you ‘become’ it! Happy Birthday to you! You have the right attitude about the whole aging thing. It’s gonna happen, if you’re lucky. 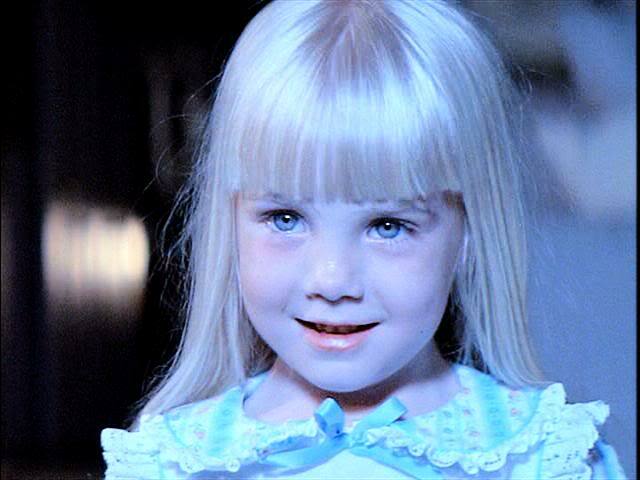 I had no idea that Heather O’Roark died so young. Happy Birthday to you and thank you for reminding us all of the value in seeing another birthday. Happy belated birthday… 🙂 You make me smile and think how fortunate I am of living life without hidding my 53 and being glad for it. Coming from a country where life-expectancy is low (though not 12-low) and having traveled to countries where it is even lower, I appreciate this post. What a wonderful outlook to have. Happiest of birthdays to you. Now get back to scaring your kids! Happy birthday! However I must say that your cake-self looks a bit devious – I think it’s the eyebrows! Watching LOST was the best six years I’ve ever wasted. Kids are an awesome reminder of how time used to sit still when we were growing up! I will let you in on a secret, my beloved Grandma used to say she was 39 and holding. We caught on when my mom was older than she! Great post and happy belated Birthday! That was one of the amazingly hilarious reads I’ve seen in a while! Loved the blog! You’re right, we need to appreciate we are lucky enough to turn another year older!